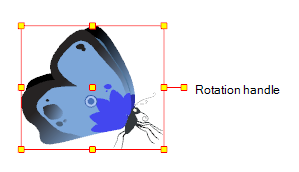 You can display a rotation handle on the bounding box when transforming a layer. In the Preferences dialog box, select the Camera tab and then select the Use Rotation Lever with Transformation Tools option. This preference is off by default.